Best Apple AirPods alternatives 2019 | What Hi-Fi? Best Apple AirPods alternatives Buying Guide: Welcome to What Hi-Fi? 's round-up of the best Apple AirPods alternatives you can buy in 2019. With great battery life, the option of a wireless charging case and hands-free "Hey Siri" functionality, Apple's AirPods are certainly a tempting proposition. But if you're looking for a sportier pair, or a cheaper one, or one that simply sounds better, you might be better off looking elsewhere. We've rounded up the best AirPods alternatives for every taste and budget, so you're guaranteed to find a pair that suit. All these pairs come with a charging case for topping up your headphones on the move. They can also be used to control your smartphone or tablet through physical buttons or in some cases touch-sensitive surfaces. 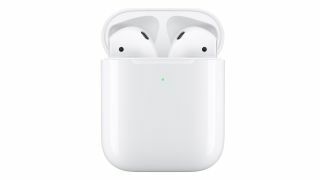 If you're not blown away by the AirPods design, aren't convinced by the second-gen AirPods, or don't use Apple devices, this is the page for you. Sony's brilliant wireless in-ears are a cut above the competition. If you thought truly wireless headphones couldn't sound great, check out the Sony WF-1000Xs. They sound superb and the built-in noise-cancelling has a subtle but audible impact. The carry case also powers the Sonys and gives you nine hours to play with. Want more? There's also support for Google Assistant and Siri. A true leader in the field. Bose's in-ears are top of the podium when it comes to sporty alternatives. These Bose in-ears sit comfortably without invading your ears and there are controls for playback and volume too. Not only that, they sound great too, delivering plenty of bang for your buck. The downside? We found they tended to drop out every now and again. The Sony's at the top of this list boast greater musicality, but the SoundSport Frees are still a great alternative to the AirPods. These decent in-ears can now be had for a song. These Philips were an okay buy at £100, but now if you shop around they can be had for just £50. Each earpiece houses a whopping 8.2mm driver, which gives it plenty of low-end rumble. And what they lack in detail they more than make up for in sheer oomph. Their design also does a pretty good job of isolating you from outside noise. If your genre of choice is something with a whacking great bassline, these could be the true wireless buds for you. Not cheap, but these headphones perform very well indeed. Talented AirPods rivals with excellent battery life. Samsung's Gear Icon Xs sound so much better than the firm's more recent Galaxy Buds. These are well designed, with an impressive feature set and effortless connectivity. The sound is wonderfully balanced as well, but the mid-range and treble are prone to a slight coarseness. With a claimed seven hours playback from a single charge, they're well worth investigating for long journeys. They might be old, but they're pretty good value at this price. These were something of a breakthrough when they launched back in 2016. But a lot has changed since then. Sound quality in this category has come on leaps and bounds, and newer rivals offer more features. They're also not the most subtle of designs. Nevertheless, the Onkyos sound decent, especially when you consider they can be bought for less than £80. If you're into bargains, you could be into these Onkyos.